Happy Father’s Day: Pops for your Pops! Shopping for dads is rough! Luckily, mine enjoys amassing a giant collection of Blu Rays, so while I like to help add to his array of movies, I also like to try doing a little something extra. First we gather up our ingredients! I roughly used this recipe. Basically you need some popped popcorn, powdered ingredients to flavor your popcorn, and then olive oil to make the powder stick. In go the kernels! 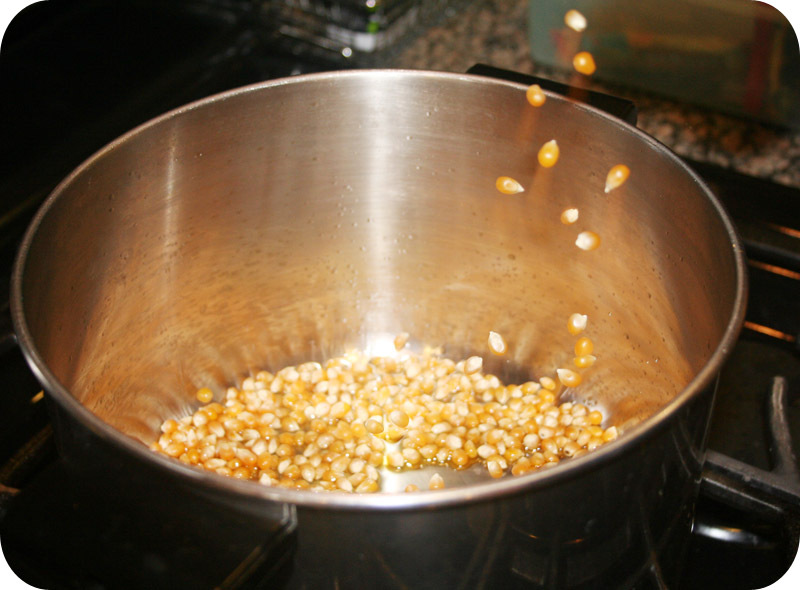 I have no idea how many kernels Hairy put in the pot, nor how much oil. 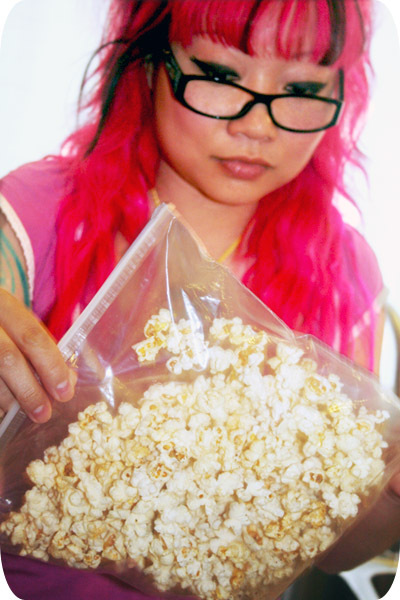 Just pop your darn popcorn! We ended up with waaay too much. You probably want to end up with 5-6 cups max. 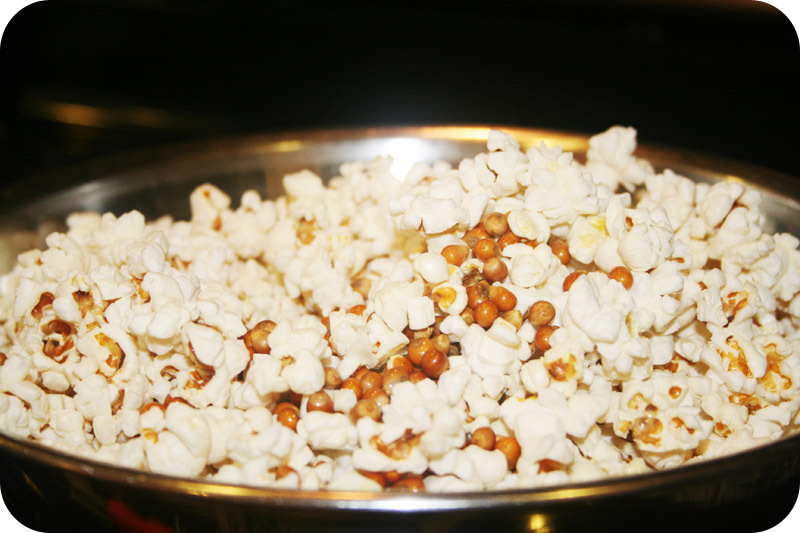 We did it on the stove, but you can also use your hot air popper. 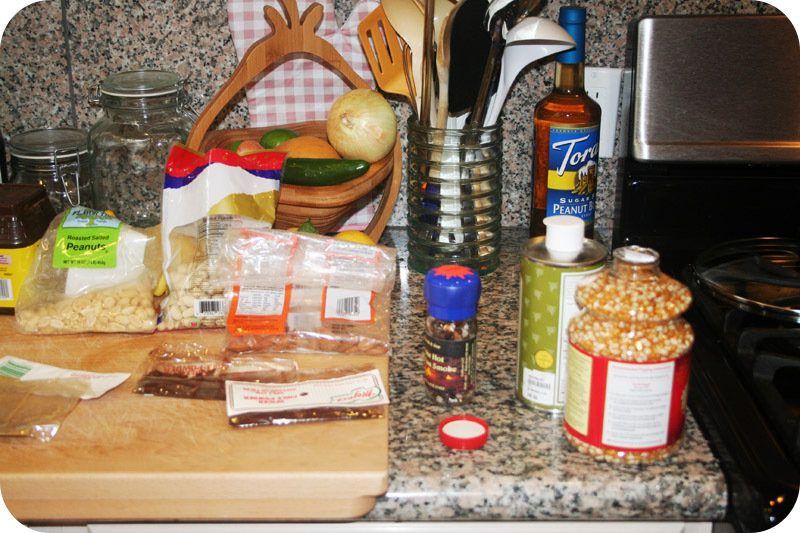 While Hairy popped the kernels, I started measuring out the spices. I left out sugar and butter because we weren’t going to create a spicy butter sauce on the stove. I think if you go the butter sauce route, you have to eat everything right away and it won’t keep very well. We also added a weird Hawaiian spicy pepper salt, as well as freshly ground szechuan pepper, and since we didn’t have cardamom, we just used 5 spice instead. Basically you need a few teaspoons of curry powder and then you can go crazy with whatever extra stuff you want to throw in. After measuring everything out, stir it all up so it’s evenly mixed. Here’s the fun part! 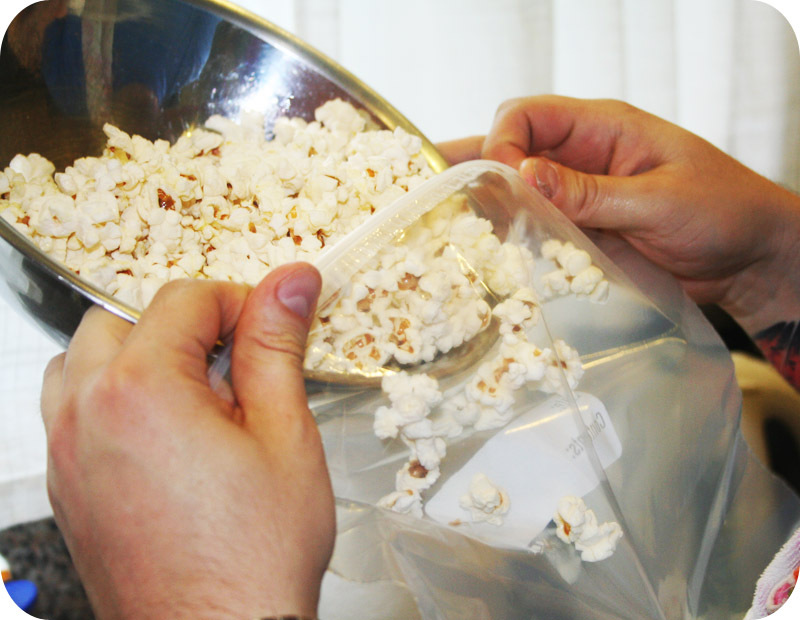 Put a bunch of your popcorn into a ziploc bag. If you have an olive oil sprayer, spray some oil up in there. We didn’t have one, so Hairy just drizzed some in. You want a light even coat. Not too gloopy. 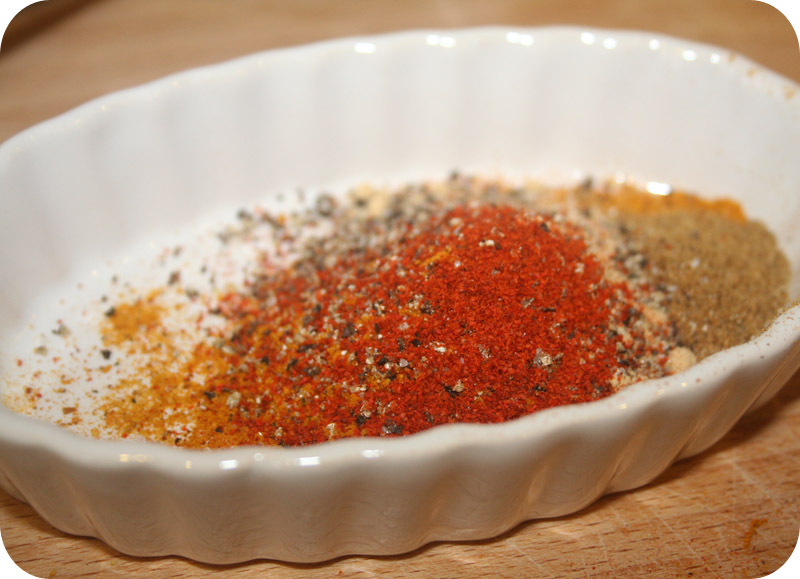 Then start to spoon in your spice mix a little bit at a time, close up the bag, and shake it up! Taste it and see if it needs more spice mix, and keep shaking everything until your popcorn is coated and you think it’s delicious. I couldn’t taste it because I can’t handle spicy foods! But it smelled currytastic. So that’s pretty much it! 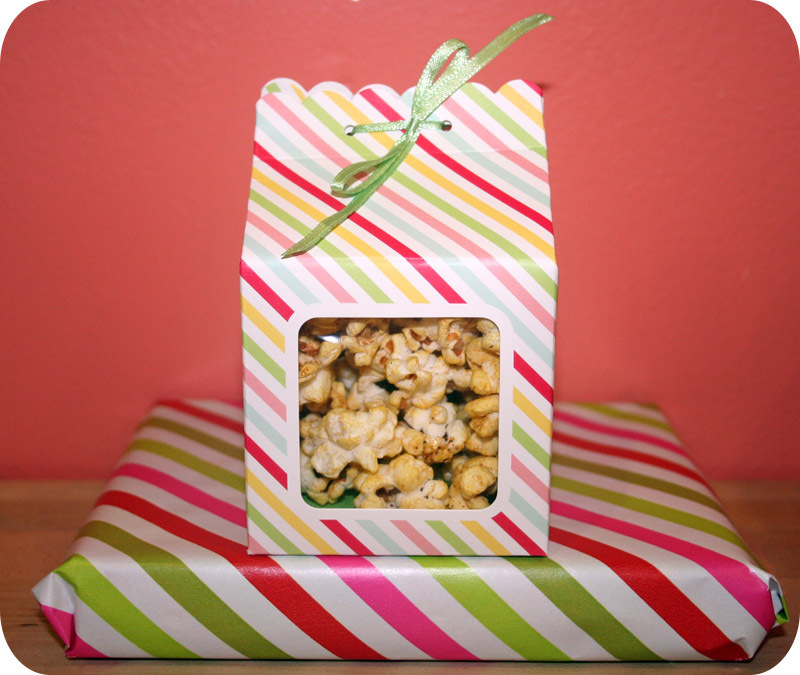 Pop popcorn, drizzle with olive oil, stick it in a bag with whatever powdered flavors you enjoy, shake it up, stick it in a pretty box, and give it someone special! 8 Responses to Happy Father’s Day: Pops for your Pops! omg, my mouth is watering! I’m totally gonna try this! Thanks for sharing! Yeah I don’t think this recipe would be my personal favorite, so I am hoping to figure out something in the CHEESE family! genius idea for gifts, some yums and movies, perfect for guys!! !